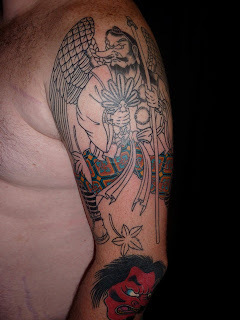 Tengu sleeve update...the Fancy Pants edition. I honestly don't even want to admit how long these took me. But we had a great time and so far it's looking cool. He has a fox on the other arm that has some very detailed robes as well. 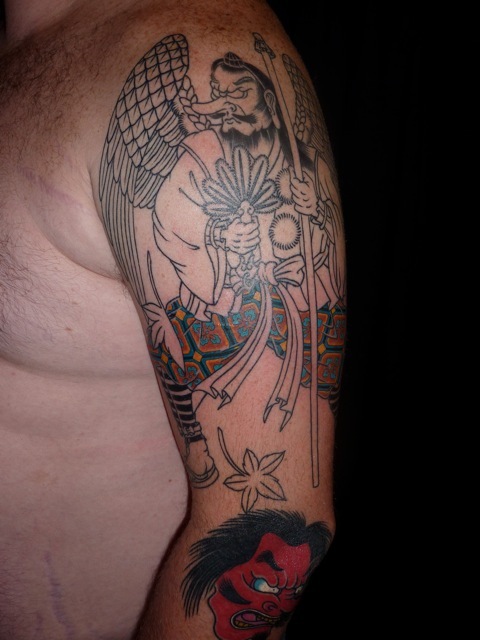 In fact, all the major elements of this Tengu arm are a mirror of the placement of the various fox images on the other arm. 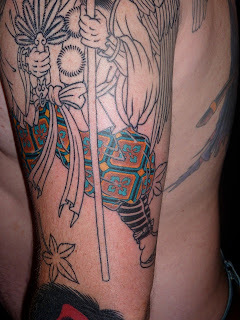 This one will get a little bamboo though, as they do live in the mountains and he found a cool story about a tengu and bamboo. I'll try to get it and mention it next time.